We are proud to announce that The Crossings Rowhouse Association has selected Tinnelly Law Group as their associations’ legal counsel. The Crossings Rowhouse is a transit-oriented condominium community located in the city of Mountain View, 30 miles south of San Francisco. 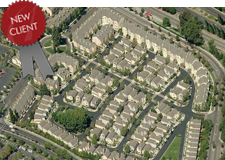 Residents enjoy a walkable and bikeable neighborhood, close to retail shops, parks, a daycare center, and the Caltrain commuter rail station. Our HOA attorneys and staff look forward to working with The Crossings Rowhouse’s Board and management.